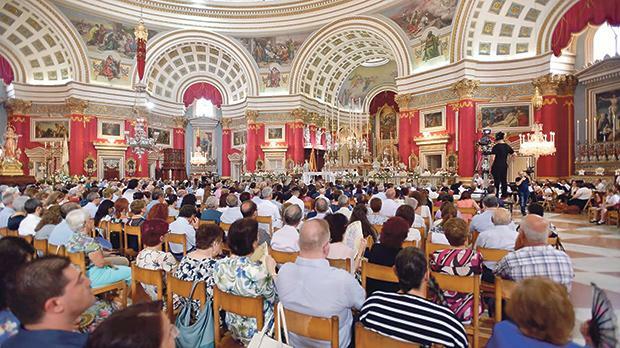 The Feast of the Assumption of Our Lady, celebrated on Wednesday, marks the peak of Marian devotion on the Maltese islands. 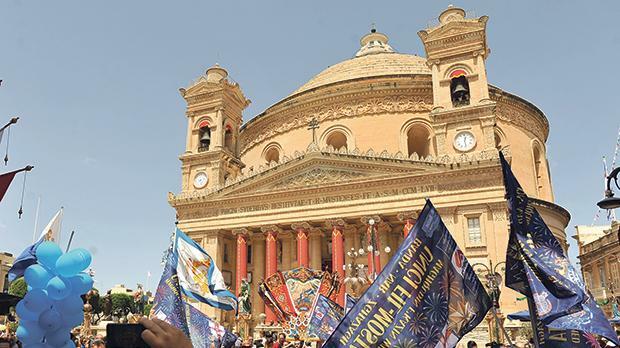 The Santa Marija feast is celebrated in Mosta, Għaxaq, Gudja, Mqabba, Qrendi, Attard and Victoria, the morning marches running until well in the afternoon, with just a few hours to spare until the procession with the statue of Our Lady in the evening. 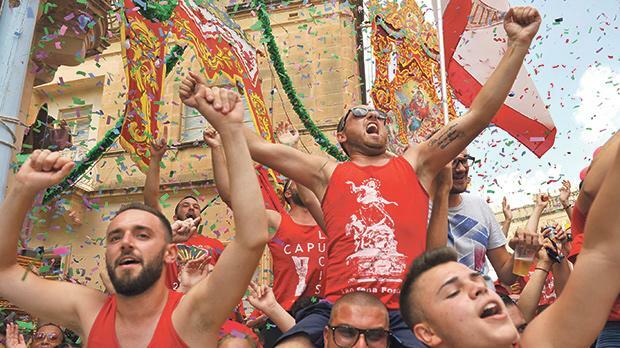 For locals, the feast is also of special significance because it commemorates World War II’s Operation Pedestal convoy, which brought much-needed food and goods to besieged Malta, which was on the verge of surrendering. Only five of the original 15 merchant ships forming part of the convoy survived the Axis onslaught. Among them was the tanker Ohio, which slowly made its way into Grand Harbour on August 15, 1942. The activities included a charity ride by hundreds of motorcyclists. 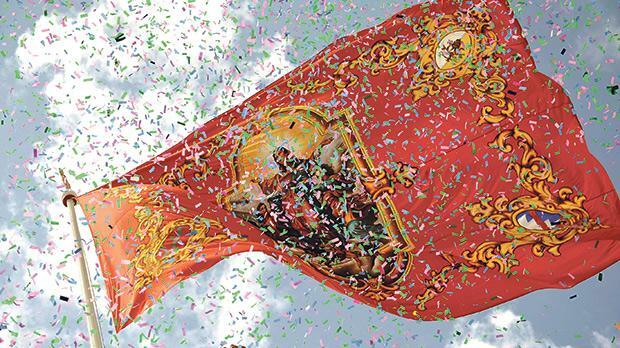 From Mġarr they headed to Dingli, both localities celebrating the feast of Santa Marija next week. 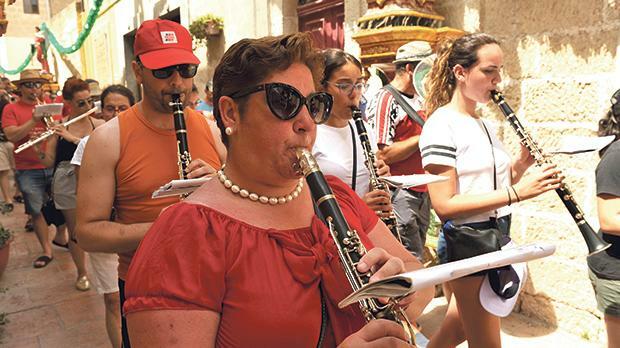 Now in its third edition, the charity ride is organised by the parish churches of the two villages, with all proceeds collected during the event going to id-Dar tal-Providenza in Siġġiewi. 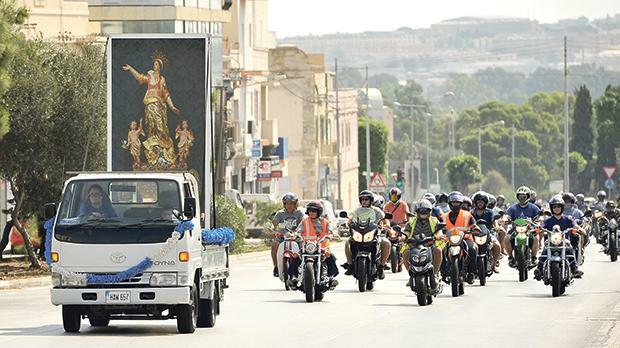 Speaking during the blessing of the motorbikes on the Mġarr church parvis, parish priest Mgr Kalċidon Vassallo said while the ride was a fun part of the celebrations, it was crucial to keep in mind that the event was ultimately held to honour Our Lady. Organisers said that, year after year, the turnout was improving and many bikers who did not live in either of the two localities involved were participating. “Even those who are not part of one of the bigger bikers’ groups show up. This year, the bikers themselves requested we take a different route, so the ride is even longer than usual,” one organiser said. Celebrations in full swing at Mosta.